With trees budding, birds chirping, and the grass greening up, it's clear that spring season is well underway. While out on a walk or driving around, you may notice flowerbeds with colorful blooms and “For Sale” signs in front yards--more proof that when the calendar turns to spring, it's an optimal time to advertise a house for sale. If your military family is anticipating an upcoming move, the spring season can motivate you to place your home on the market before the whirlwind of a summer PCS. With selling your dwelling in mind, take a look at the following points. By living this nomadic lifestyle, you have firsthand knowledge of what a military family is looking for when they are house hunting. By sharing what life is like in the area, you'll explain why your neighborhood is so desirable. By showcasing the many features, you can detail why you love your abode. Offering your personal input is incredibly valuable to a potential buyer, especially if they happen to be new to the city. 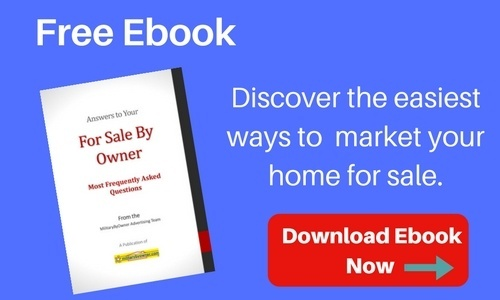 Read through MilitaryByOwner's complimentary ebooks addressing your home selling questions. Take an honest look at what will work out best with your remaining time at your current assignment. Additionally, lining up the official paperwork is a snap, thanks to the documents provided by MilitaryByOwner's partner, U.S. Legal Forms. 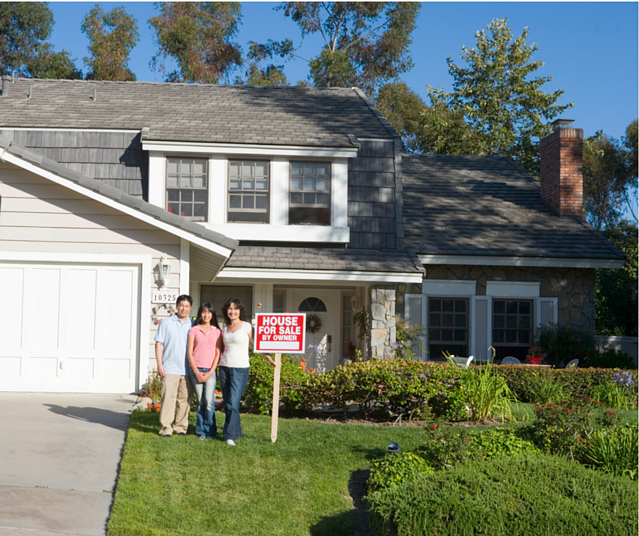 Also, having an attorney and a title agency on hand will ensure the proper transfer of ownership at closing. Doing a little homework ahead of time will open your eyes to all of the important details that go along with marketing your home. If the concept of planning to sell your home while also planning for your military move seems overwhelming or stressful, you may want to contact a real estate professional. On average, the commission from a home sale can shake out to 3% for your listing agent and 3% for the buyer’s agent. Going FSBO could save you that 6% slice of the pie, yet the experience and negotiation skills of an agent can be invaluable. Imagine the hassle of ripping out shaggy carpet and installing glossy wood flooring. When it's all said and done, you could feel like your chateau is now worth a million bucks! However, it's a good idea to have a firm grasp on reality when it comes to setting your sales price. Have a real estate agent run a comparative market analysis to look at the sales price of similar residences in your area. Stop by the County Assessor office at the city courthouse to search through public records of the sales of neighborhood properties. Discuss area sales prices with a representative at your local bank. Browse websites for ballpark figures. Keep in mind, the numbers on these websites come from automated database calculations and are not completely accurate. If you're truthful about how your estate compares to listings in the local market, a potential buyer will sense that you are serious about selling. As a home seller, you want to appeal to home buyers by having the house sparkling clean and move-in ready. If a buyer finds an address in immaculate condition, it helps them feel like they're purchasing something fresh and new, and that your attention to detail carries over to the rest of the property. Two ways to turn your heartwarming habitat into everything a buyer is looking for. Now is the time to channel your inner neat freak! It's important to thoroughly clean both the inside and the outside of your casa to prepare it for sale. Entry - Enhance your entry with a fresh coat of paint on the front door to offer an inviting welcome. Front Yard - Add bright and flowering plants to bring an eye-catching pop of color to the front yard. Back Yard - Trim tree branches and shape any shrubs to highlight your lush backyard landscaping. Room to Room - Pick up the various piles of stuff while walking through your crib. Simple sorting tasks are the first step towards organization and clutter control. Kitchen - Your Grandma was right! Basic cleaning products like baking soda and vinegar will work like magic at eliminating stains around the stove and kitchen. Bathrooms - Every nook and cranny of your loo needs to be white glove inspection ready. When fussing over soap scum, give the surfaces a good scrub with Borax powder. Bedrooms - Remember when your Mom would nag you about cleaning your room? Make your bed and leave enough room in your closets for a buyer to see the storage capability. Garage - Grab your broom to rid any cobwebs in the corners and then sweep the garage floor. If you take the the time to tidy and tend to each of these areas, it will shine the best light on your superstar spot. 2. Stage like a pro. The cliche "presentation is everything” can serve as a reminder that you need to present your personal palace in a manner that draws others to find out more. While you're busy working on curb appeal projects out front, your sunshine yellow MilitaryByOwner yard sign and overall alluring quarters will grab a buyer’s attention. Once they step inside, the buyer will immediately survey your space and form an opinion. Much like the atmosphere a designer creates on a real estate television show, your goal is to place your furnishings in a pleasing layout. This tactic is better known as home staging. Learn more about the basics of home staging with our article, "Home Staging 101". Remember, less is more. Make arrangements to store your bulky pieces of furniture in order to limit the amount of items in each room. Having each space clean and uncluttered increases the illusion of square footage. 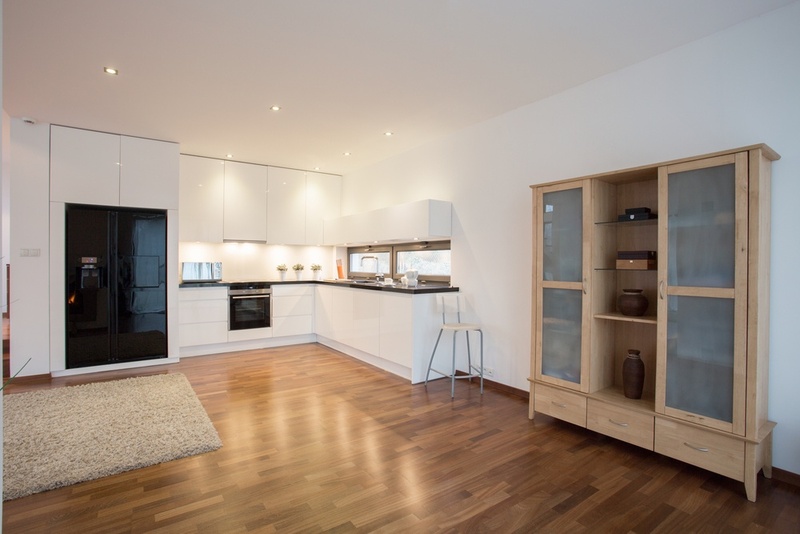 Additionally, a spacious room allows a buyer to picture moving in with their own things. Add natural charm. If your nest is near the mountains, accent a shelf with a tree bough and varying sizes of pine cones. If living near the beach, create a centerpiece with a collection of shells in a starfish shaped dish. Or, you can simply add a dash of romance with a vase or two of fresh flowers. Make a great impression. Grace the dining table with two elegant place settings and pull back the curtains to fill the room with natural light. Now if the idea of adding little touches of design differs from your day-to-day lifestyle, keep in mind that you are going for that wow factor! 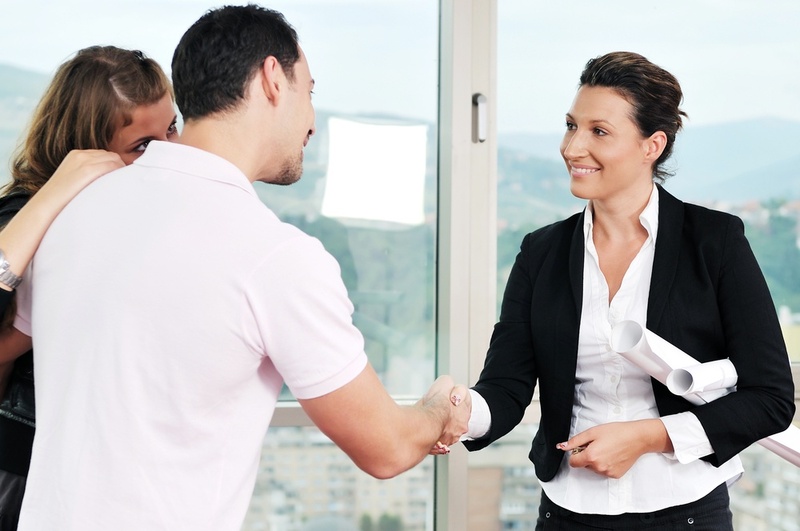 Your goal is to make a lasting, positive impression on a buyer. When a buyer can sense that your listing has been lovingly taken care of, it may encourage them to move quickly to place an offer on your can’t-miss opportunity. It's worth taking time to highlight your home in the following ways. If including photos is the the key to a quick home sale, then your images need to be top notch. A home shopper can narrow down what appeals to them by having a visual list of potential pads. Essentially, that is your goal as a home seller. You'll want to create a listing with enough sophistication that it entices a buyer to place your villa at the top of their “must-see” list. 2. Take overhead images of your property. Is your nest tucked in the woods or do you have a waterfront address? If you're selling a residence with a scenic locale, consider having a bird's eye view of your acreage via an unmanned aerial vehicle or “drone." Writer Dawn Smith explains that “Drones enable buyers to see and experience feelings that still photography doesn’t always convey" in the post “Should You Use Drones to Market Your Home?”. Smith confirms the importance of finding an aerial photographer with both professional experience and liability insurance. 3. Create a virtual tour. Along with images from drones, another popular way to set your home apart from others on the market is via video. You can compile quality images into a virtual tour or walk through your estate while live streaming on Periscope or Facebook Live. No matter which format you choose, as the home seller you're granting an all-access pass to peruse your personal palace. 4. Write a captivating property description. The written word is a powerful and persuasive tool to add to your marketing strategy. Use the proper terms to create a property description that will draw in home buyers. Steer clear of an overly enthusiastic description and simply paint an honest picture of the features around your retreat that make your heart happy. 5. Plan for an open house. Placing your house on the market means you will soon be living on “show ready” status. With a busy military family, keeping your home pristine clean is no easy feat. It's likely that as half your son’s soccer team invades your kitchen, you'll inevitably receive a phone call for a last minute showing! However, there's no need for stress. When you're willing to open your doors on a moment’s notice for a buyer to take a lookie loo, that person will note your confidence in showcasing your chateau. Spontaneous property tours are another way the term “Semper Gumby = Always Flexible” fits with your military life. Once you have those glorious military orders in your hands, it's a race against the clock to check off each item on your lengthy PCS to-do list. 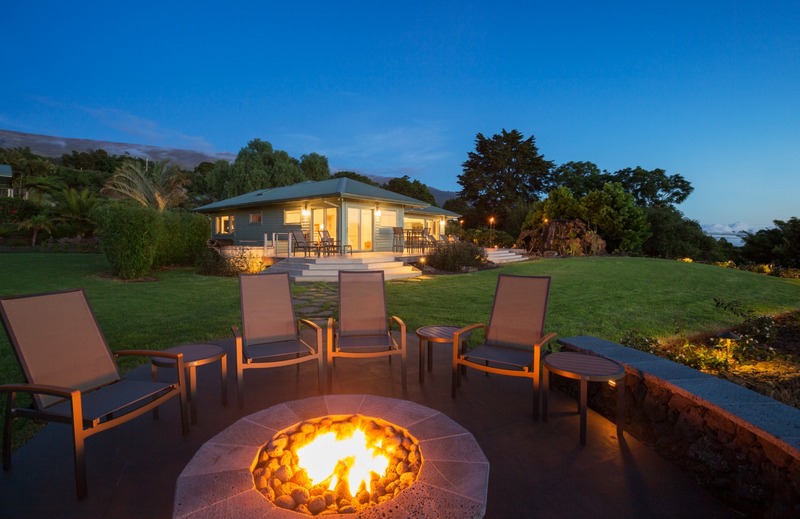 In the midst of your hectic pace, the suggestions found here and the abundance of resources for home sellers available on MilitaryByOwner can guide you through the sale of your homestead. Before you know it, you'll be closing on your sale and celebrating your success! Do you have any helpful hints to share? Let us know what your experience has been like by leaving a comment here or by reaching out to MilitaryByOwner on Facebook or Twitter!